Hidden Gems brings to light little known film gems which have somehow slipped through the collective cinematic consciousness. You’re welcome. 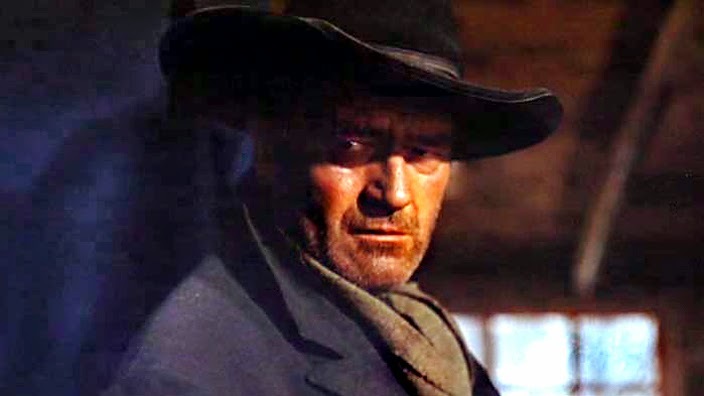 An obscure Western, The Searchers brings together cult director John Ford with little known B-actor John Wayne. Wayne actually started his career as a full time squinter, but started appearing in films when it was discovered he could drawl as well. Wayne plays Ethan Edwards, who following a murderous attack on his brother’s ranch sets off to ‘seek’ his kidnapped niece, accompanied by young part Indian Martin Pawley (Jeffrey Hunter). Beginning as a revenger’s tale, The Searchers soon swells into something more epic – a road movie of sorts that traces a map of the American West, of racism, guilt and violence, driven by Ethan’s relentless obsession. The landscapes of Monument Valley are suitably ludicrous and low comedy mixes with the sublime. There’s a richness to life here that Ethan’s narrow frontier outlook can’t hope to comprehend. He is a man who is vanishing into his own hatreds. Useful to break a land – but a liability to civilization. Whatever the reason, The Searchers is actually a great film, a masterpiece even. So if you can dig up an copy somewhere, I highly recommend it.